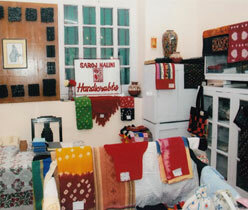 Welcome To Saraj Nalini Dutt Memorial Association. We welcome your donations to beter serve society. 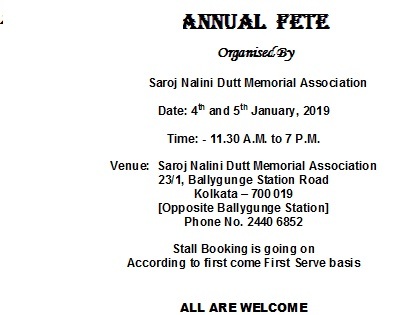 Saroj Nalini Dutt Memorial Association (S.N.D.M.A) was founded by Shri Gurusaday Dutt in the year 1925 following the death of his wife Smt Saroj Nalini Dutt. He did this to fulfill his late wife's philanthropic vision. The cogent objective of this institution was to train helpless and needy women and transform them into independent and strong minded individuals. Since then several decades have gone by and the Association has gone from strength to strength to become one of the most renowned philanthropic organizations of the country. To educate women from low income groups of society in both urban and rural areas. To set up facilities for the health care of mothers and children and to teach hygiene,principles of basic health and childcare to rural and urban women. To teach women about nutrition and family-planning in order to improve the general quality of their lives. To establish and run vocational training centers for the improvement of the economic condition of women. To work for the welfare of children with concern to their health, education and other development activities. To spread general awareness among women about their socio-economic status in society, with special emphasis on women of rural areas. S.N.D.M.A is managed by the members of its Executive Committee where the Executive Committee is changed every three years during an A.G.M. In addition to the Executive Committee, there are twenty-four Sub-Committees. The respective Secretary of each such section is selected from amongst the Executive Committee members. Besides this, the management of the Old Age Homes - Dinante I & Dinante II is directly under the President of S.N.D.M.A. Associated Country Women of the World (A.C.W.W). The first lady President who took initial responsibility of this institution was Smt Hemlata Thakur. She is popularly known as 'Boroma'. She remained in this position for a long time. Later she shifted to Puri, accepting the charge, of 'Basanta Kumari Devi Bidhava Ashram'. After Hemlata Thakur, it was Smt Charu Biswas who became the President of this institution. 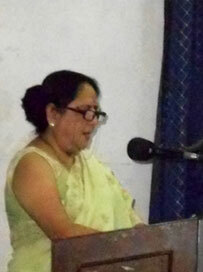 Following her Smt Manisha Roy was installed as the President. In the year 1972, Smt Aroti Dutta took charge and continued in this prestigious position till the year 2003. After Smt Aroti Dutt, the President's Office was taken over by Smt Meera Chaudhuri. She continued till the year 2006. 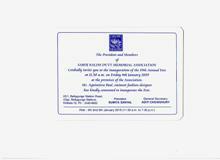 In the year 2006, the mantle of President was worn by Smt Sumita Sanyal.